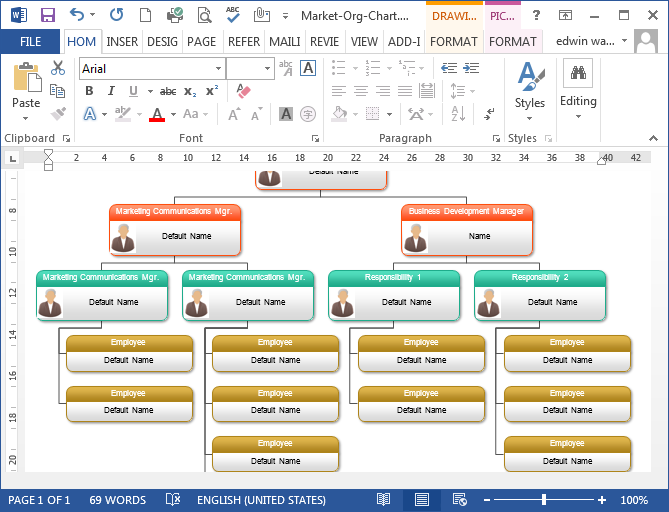 To create organizational chart in MS Word, programs designed specifically for the purpose of creating org charts are particularly well-suited to the task. 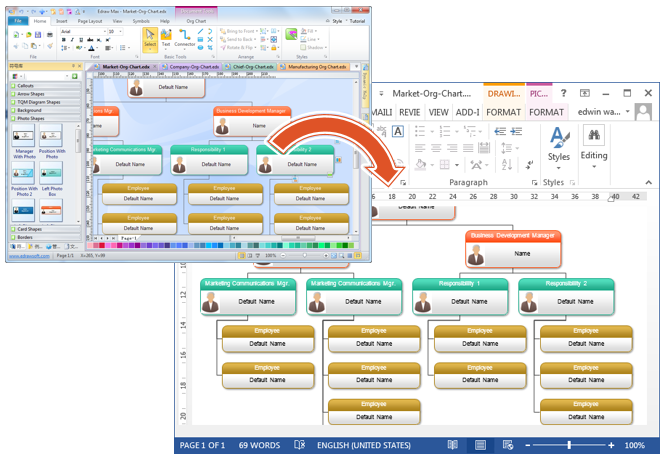 It's easy to create an organizational chart in Edraw Max software. 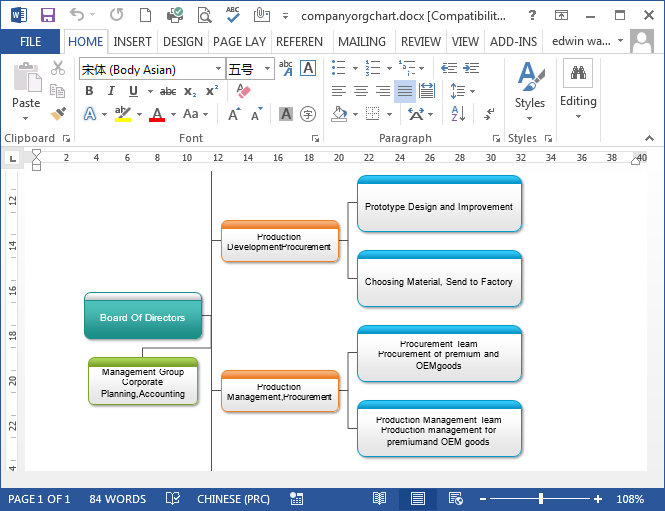 When you finish creating your chart, one click on the upper tool bar will transfer the org charts into MS Word. 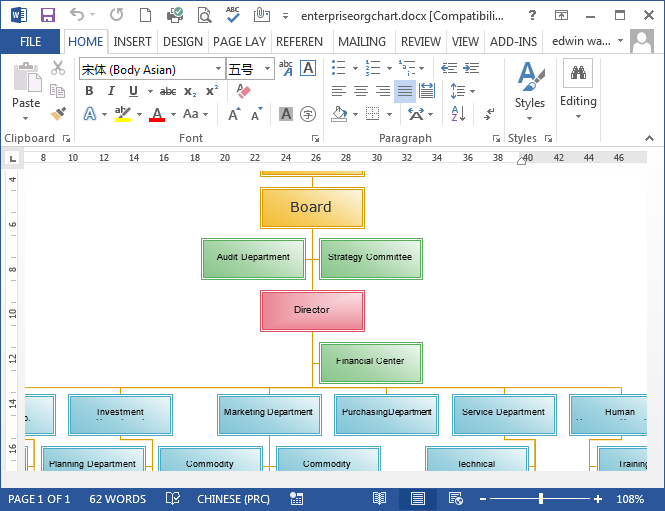 The exported organizational chart shapes are vector-level in the MS Word. The symbols are completely vector in nature, you can customized it as per your requirements in MS Word.